Recycling is a must in modern business, and the ethical and moral arguments for doing it are many, but in some cases it's a legal obligation too. For example, did you know that any company getting rid of more than 200kg of electronic equipment (roughly equivalent to 15 computer monitors) must, by law, ensure that it is disposed of responsibly and according to current legislation? Even taking legal arguments to one side, a staggering one million tonnes or more of electronic waste ends up in landfills every year, and both households and businesses are to blame for this. With this figure predicted to rise by 80,000 tonnes per year, this clearly needs to change. Here at Ethical IT Recycling, we keep ourselves up to date on the latest legislation affecting the disposal of hardware and electronics, meaning that you can relax in the knowledge that you are recycling ethically and lawfully.So whether it is about laptop recycling or printer recycling, you can rely on us for only adhering to the best lawful practices associated with IT recycling. 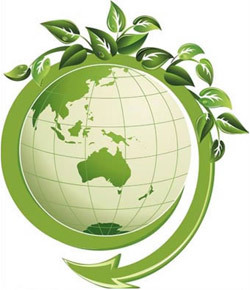 Often abbreviated to 'WEEE', this directive was set up specifically to ensure that all electrical goods are disposed of responsibly, meaning that their impact on the environment is as minimal as possible.So if you want to make use of Old Printer Disposal services, you need to follow the directives as set by WEEE. At Ethical IT Recycling, we follow the specifications of the WEEE Directive at every stage of IT recycling, starting with collection, moving on to treatment, and through to recycling and recovery. In recent years, perhaps in light of the growing need to recycle IT equipment, legislation on computer monitors has been added to the Hazardous Waste Regulations.